Toronto city council has voted unanimously to make Richmond-Adelaide bike lanes a permanent feature of the city. 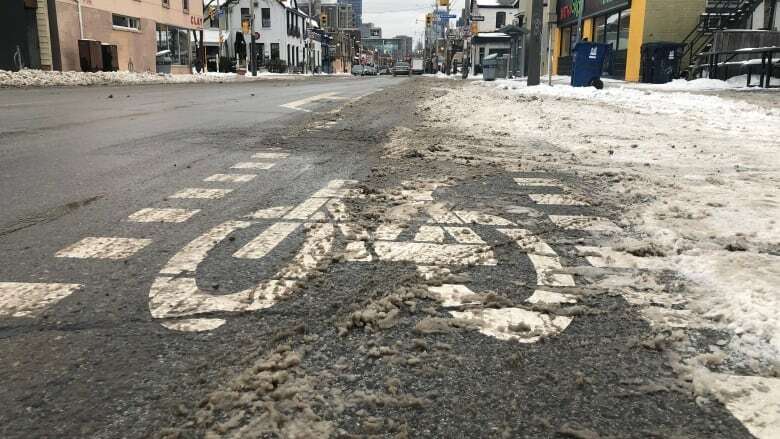 The lanes installed between 2014 and 2016, became the most-travelled cycle tracks in Toronto with an average of 6,160 users every weekday by the fall of 2018, according to a release by the city Wednesday. The rate of crashes involving cyclists dropped by 73 per cent during the pilot, the city says, with serious motor vehicle accidents falling by 18 per cent. "The Richmond-Adelaide cycle tracks are already the most travelled in the city," said Ward 6 Coun. James Pasternak. "Making them permanent is the beginning of what will lead to much-needed improvements to our infrastructure that will contribute to a better and more successful cycling network." As part of the move, the city says it will move the bike lane on Adelaide Street from the south side to the north side, install temporary concrete barriers to better separate drivers from cyclists and adjust traffic signal timing changes where necessary, among other changes. The move also includes the bike lanes on Peter Street and Simcoe Street.